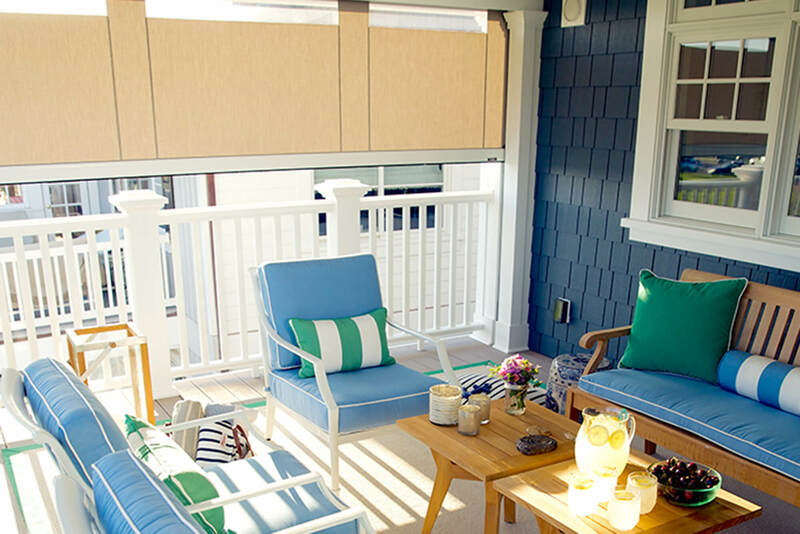 Learn where to buy Sunbrella shade fabrics and shading products made using these fabrics. 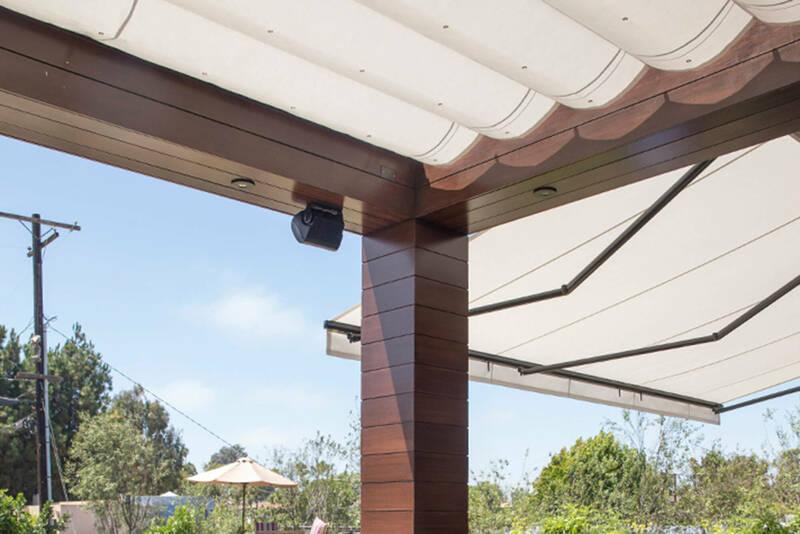 Download the Shade Fabric Care and Fabrication Guide. 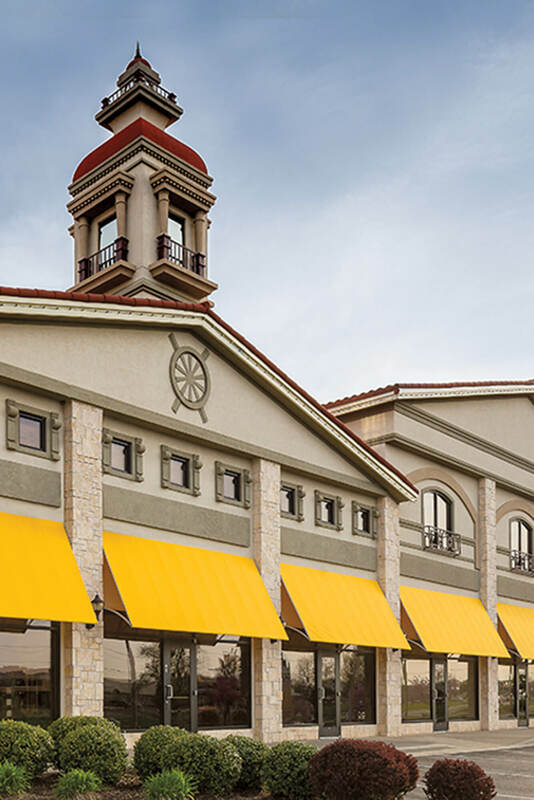 Sunbrella Decorative Shade fabrics will change how you think about shade. 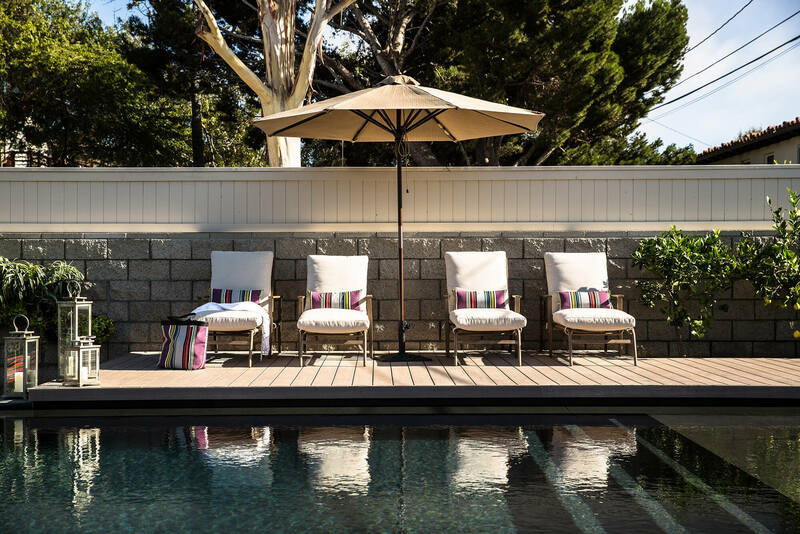 Recycled content, metallic sheens and bold patterns give these fabrics a distinctively modern aesthetic that’s extremely stylish as well as durable. 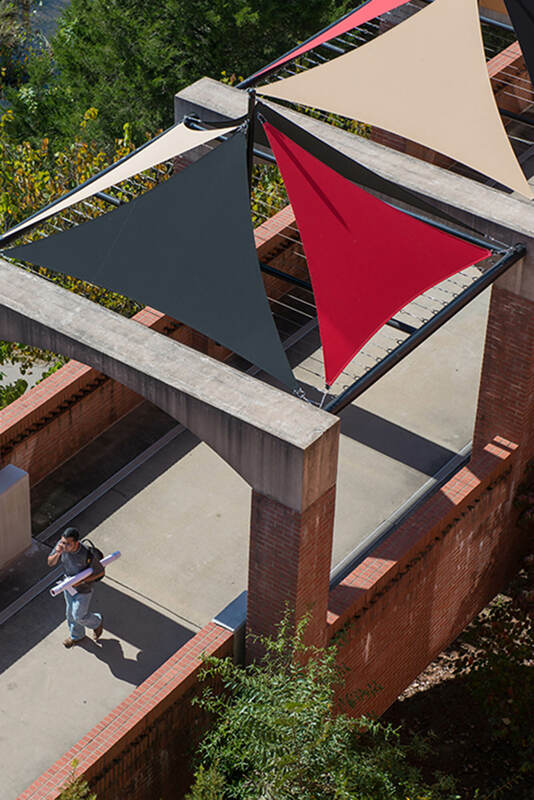 Unity is the first recycled Sunbrella shade fabric. 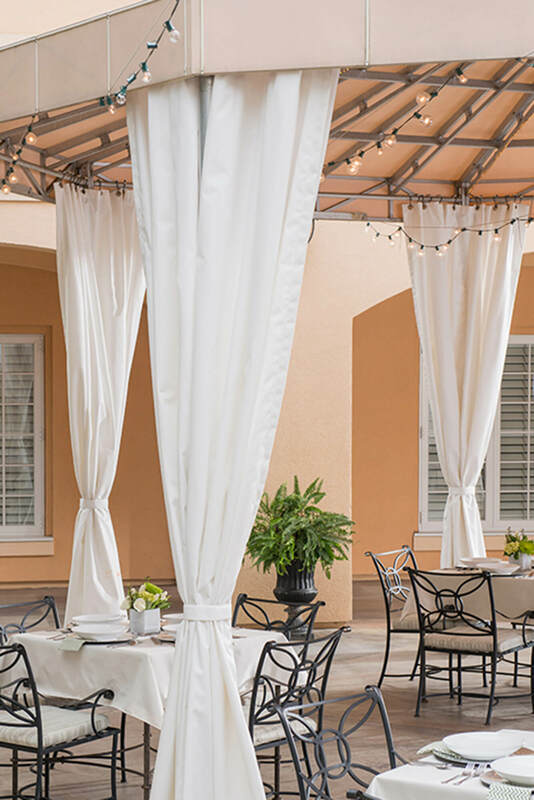 Crafted for shade applications where subtle texture and distinctive detail creates a timeless charm, Unity is ideal for decorative shade applications. 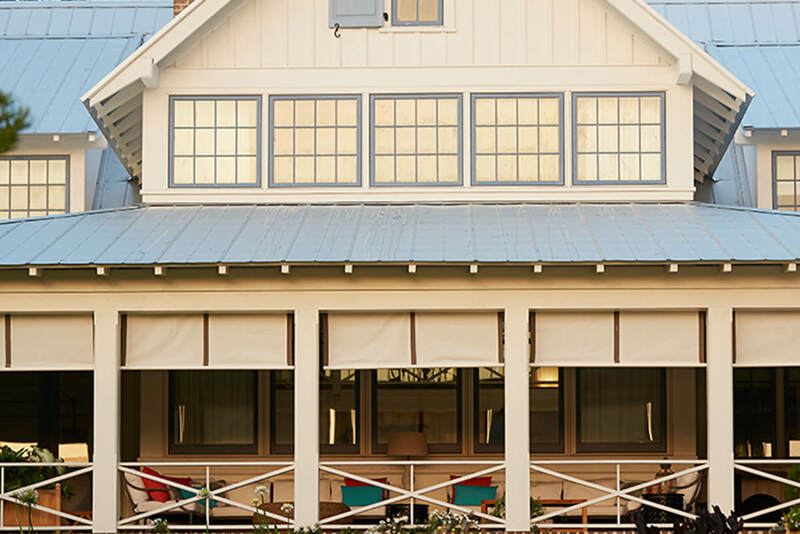 Due to the nature of recycled content, Sunbrella Unity fabrics may exhibit significant color variation. 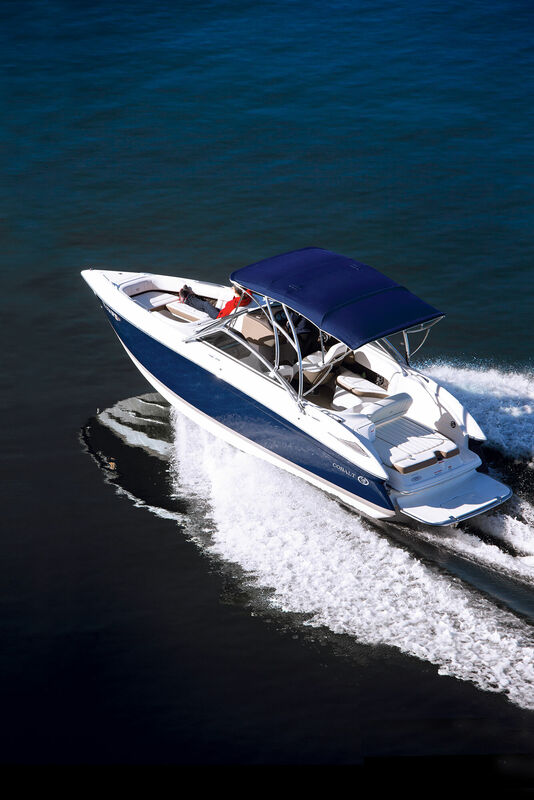 Alloy features a high tech metallic look that filters light and allows water to pass through. 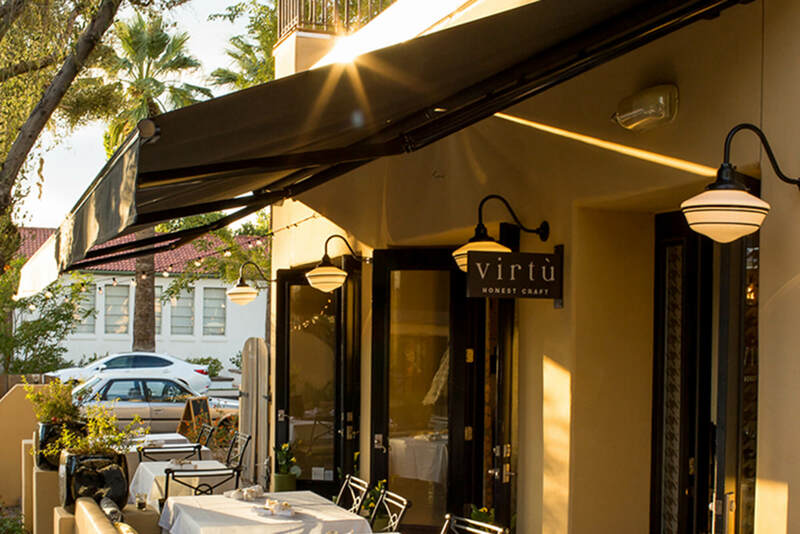 It is intended for structures where the need for an architectural aesthetic outweighs the need for complete protection from the elements. 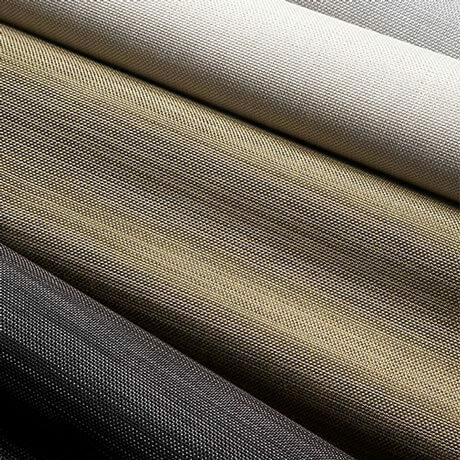 Fundamental, Avenues and Cirrus are jacquard shade fabrics designed specifically for decorative performance. 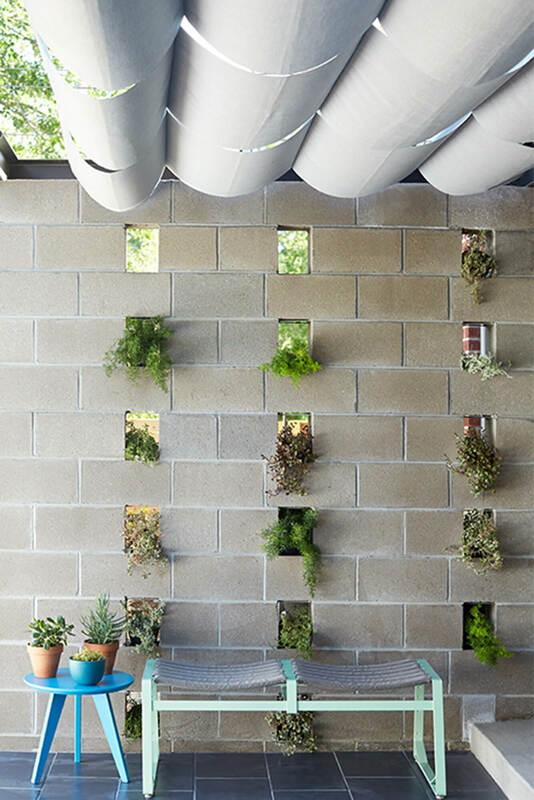 The distinct patterns of each style create a unique visual appeal and are ideal for decorative shade applications. 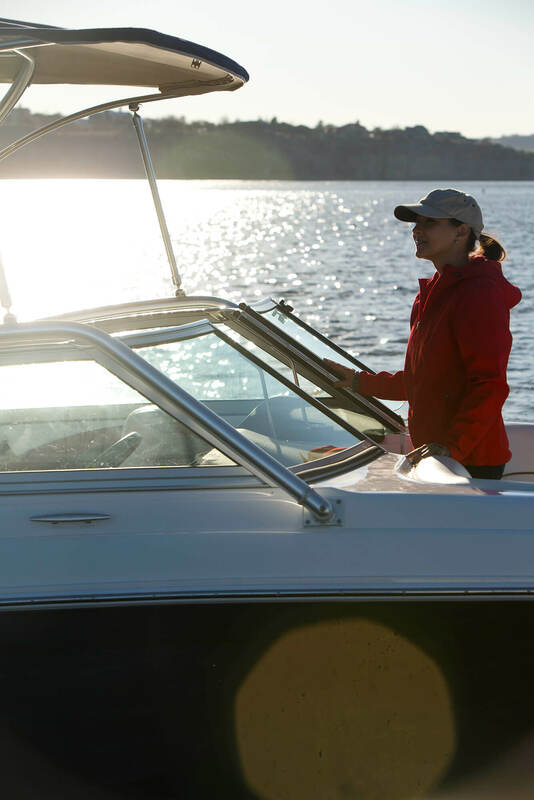 For marine enclosures where water repellency is crucial, Sunbrella Plus will thrive on the water time and time again. 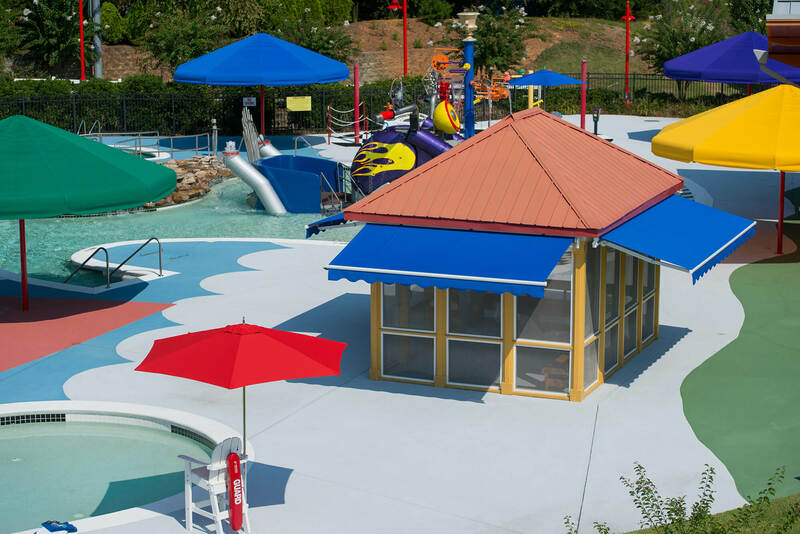 Featuring a unique polyurethane and acrylic undercoating for maximum water resistance, Sunbrella Plus offers a proven solution for marine applications that experience vertical rain issues, like dodgers and Biminis. 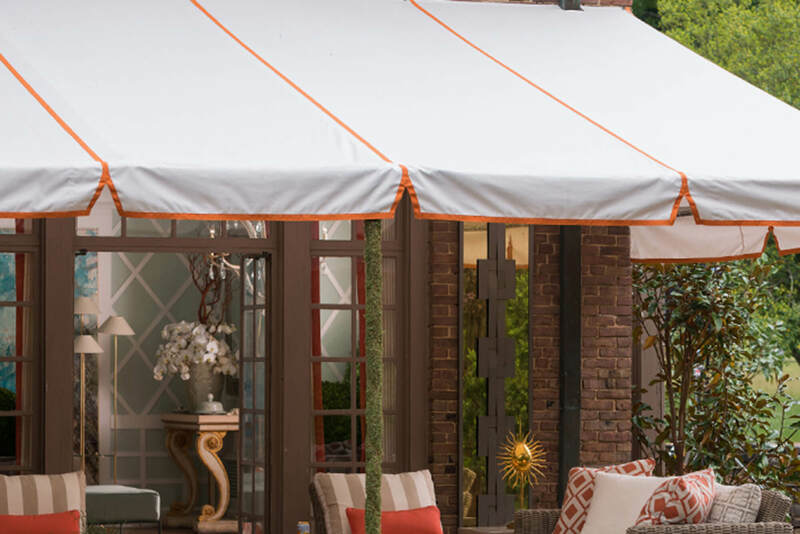 Available in a 60-inch width in 15 sophisticated colors, Sunbrella Plus allows you to coordinate your craft inside and out without compromising design or performance. 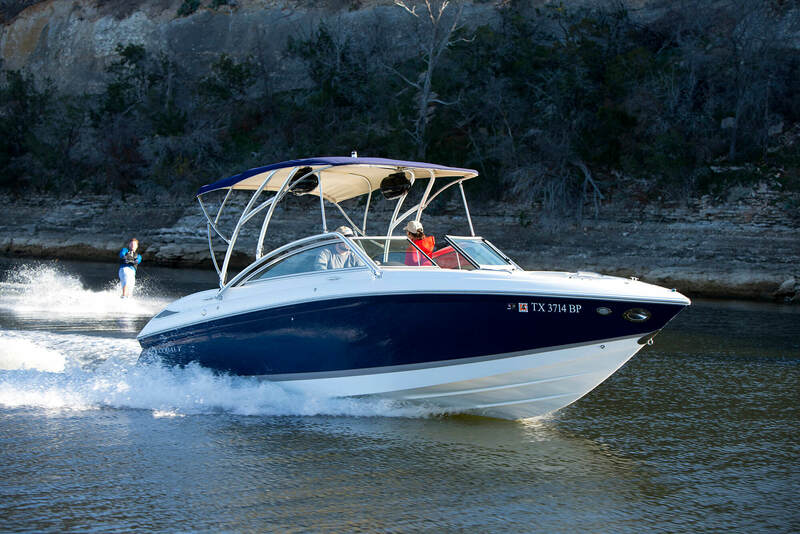 Created from a unique bonding process, Sunbrella Supreme is a marine canvas fabric that features Sunbrella flocking with an exceptionally soft headliner underneath. 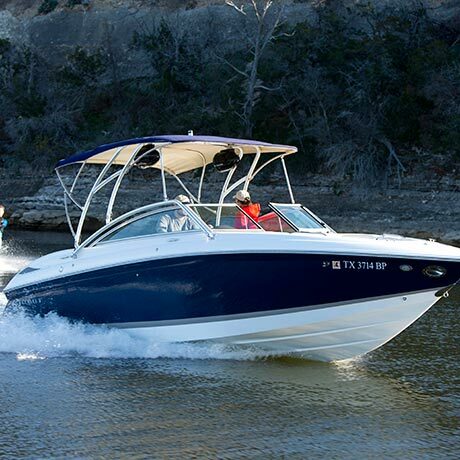 This unique combination creates a luxurious, waterproof exterior that delivers unmatched performance without sacrificing style. 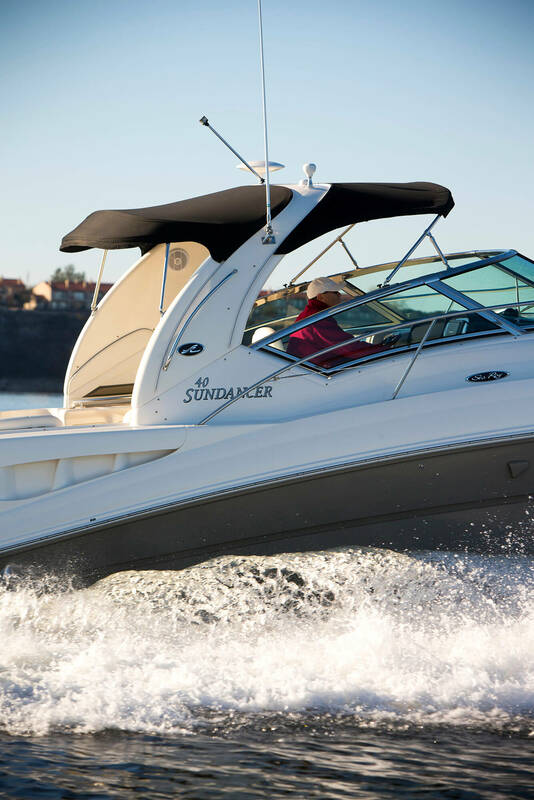 Sunbrella Supreme is ideal for a variety of marine applications such as dodgers and Biminis. 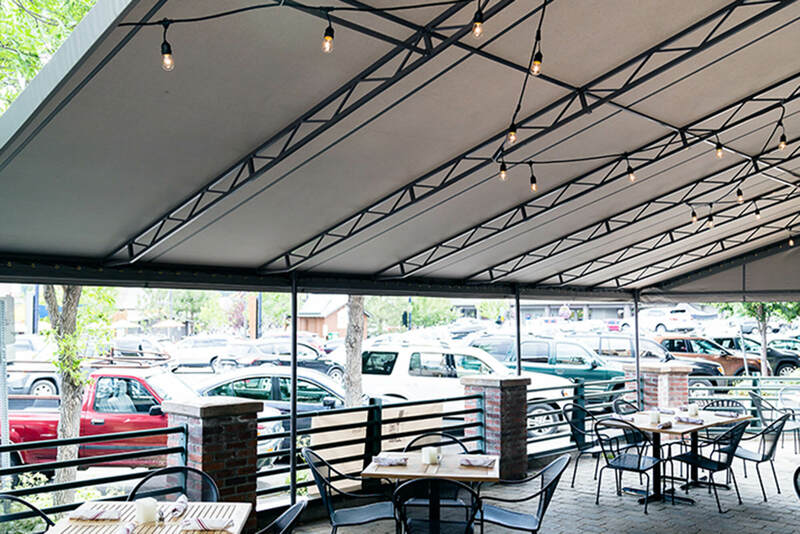 For applications where awnings are difficult or time-consuming to clean, we created Sunbrella Clarity, a gorgeous line of durable, low-maintenance awning fabric designed specifically for shade applications that are difficult to maintain. 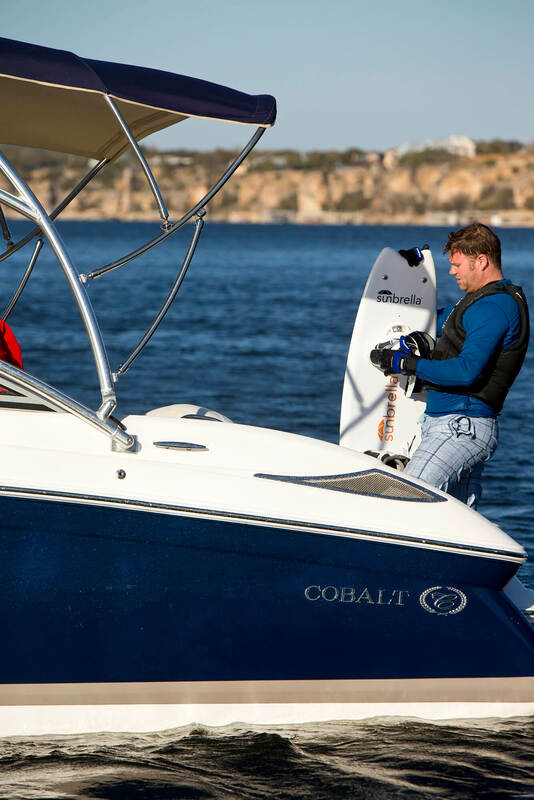 This innovative, self-cleaning fabric features a unique coating that breaks down dirt and organic material so they can be quickly and easily washed away with water. 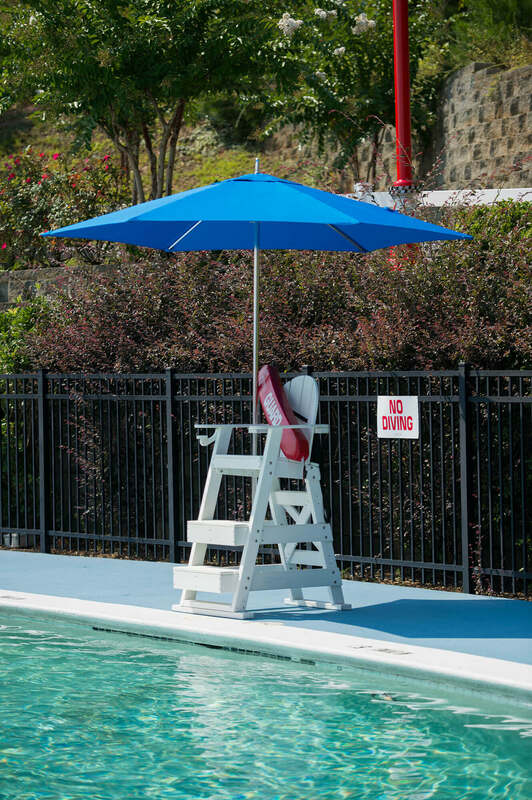 Unlike standard Sunbrella fabric, Sunbrella Clarity has a durable polyurethane coating which will wet out the surface rather than beading up, a characteristic of the fabric’s unique anti-streaking technology. 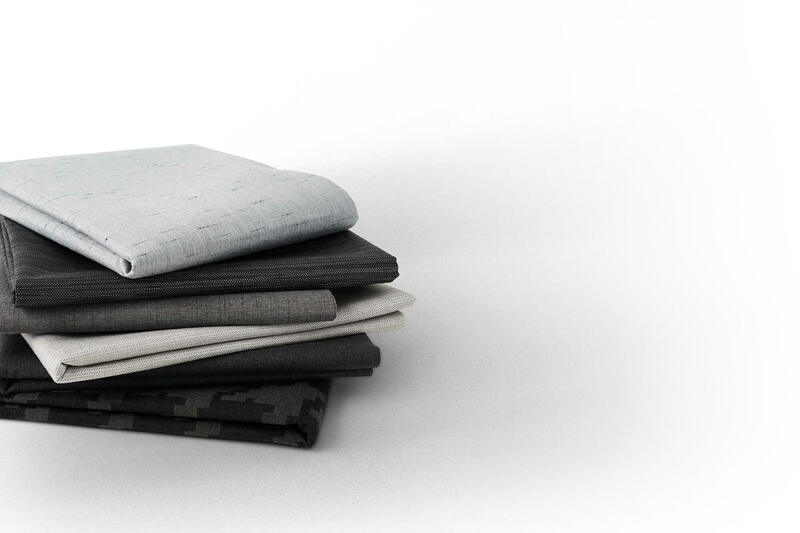 Alloy combines a technical look with a fabric construction that allows light and water to filter through the material. 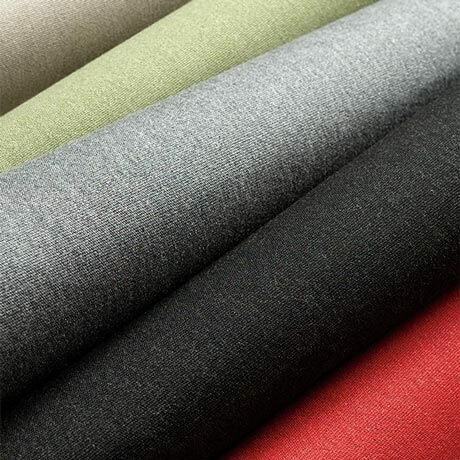 Using a combination of PVC and standard acrylic yarns, the fabric has a stunning metallic sheen — a mix of materials that creates a dichotomous matted and shiny look. 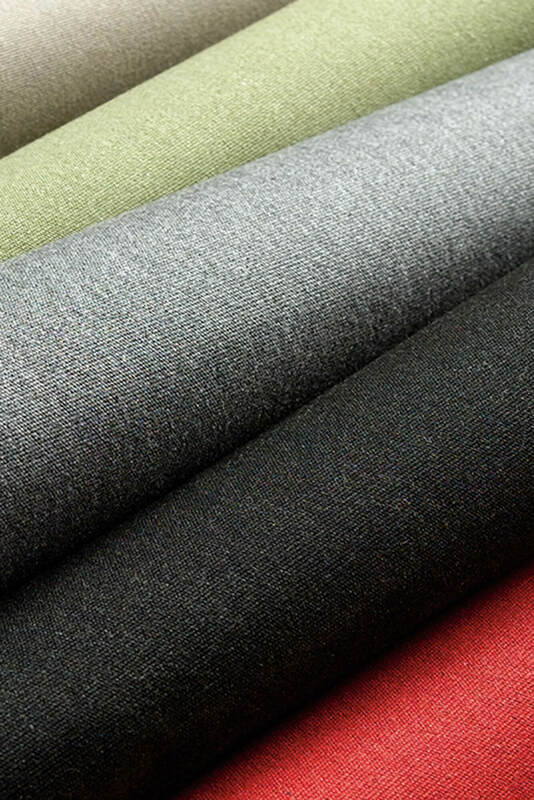 Crest is a textured fabric with a subtle slub that gives the fabric a unique hand. 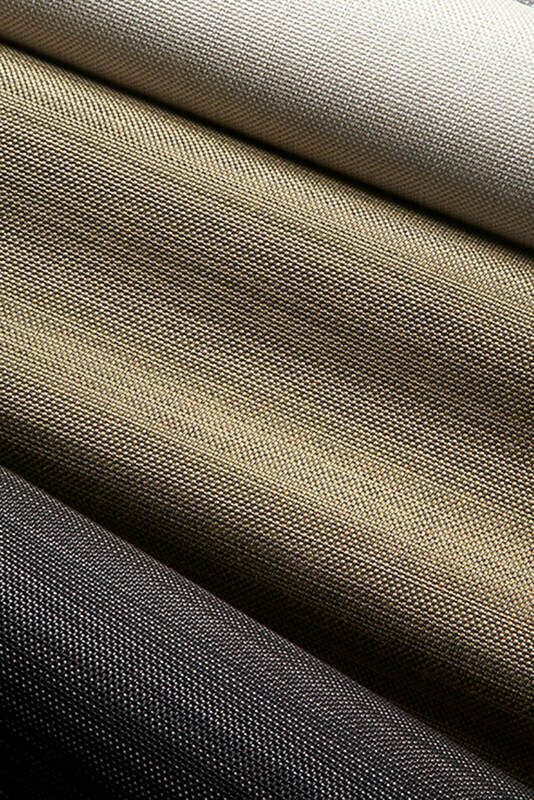 Meteor features a high-tech metallic look and incorporates bicolor yarns to create a dimensional crosshatching effect, lending a distinctively modern aesthetic to this durable, versatile fabric. Nebula is inspired by the ancient Japanese tie-dyeing art, Shibori, bringing the beauty of this craft to shade applications. It features an abstract motif evocative of the natural inconsistency of the handmade. 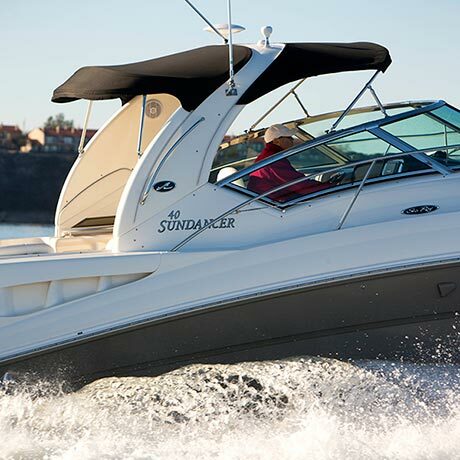 Unity is features a subtle texture and distinctive detail that creates a timeless charm. 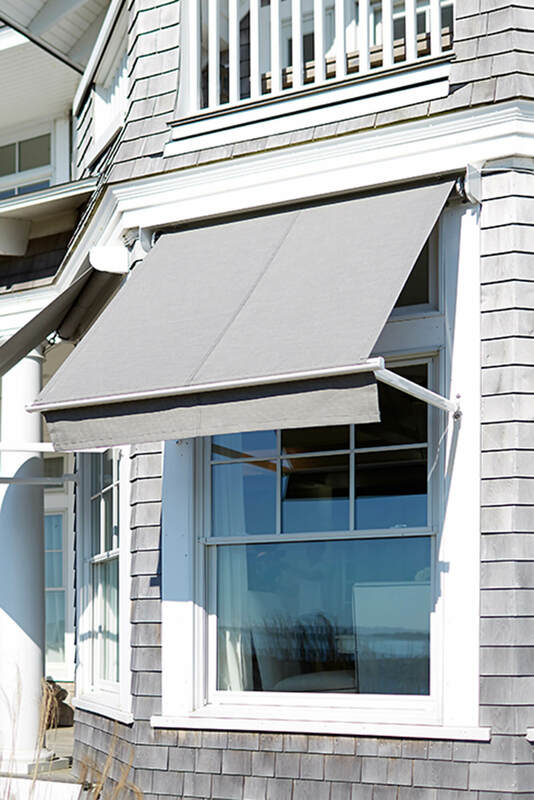 It is the first recycled Sunbrella shade fabric, featuring 50% recycled Sunbrella fiber mixed with 50% virgin fiber. 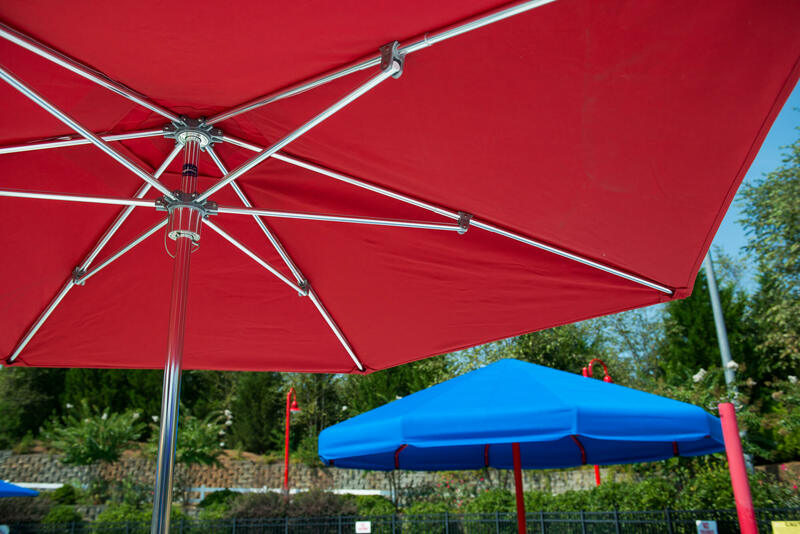 The 2017-2018 Shade Collection includes a wide variety of solid colors so you can find the perfect match for your shading project. 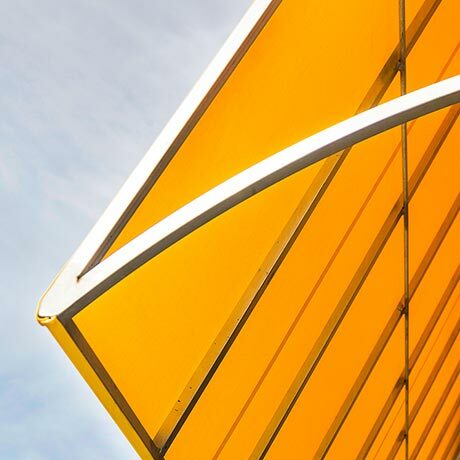 Avenues is a Mondrian-inspired textile featuring a large-scale color block. With a contemporary aesthetic, this asymmetrical block stripe is perfect for a modern home or commercial setting. Named for the thin, wispy cloud formation, Cirrus creates a stunning cloud effect. Multiple weaves give this fabric the illusion of layering or floating clouds. 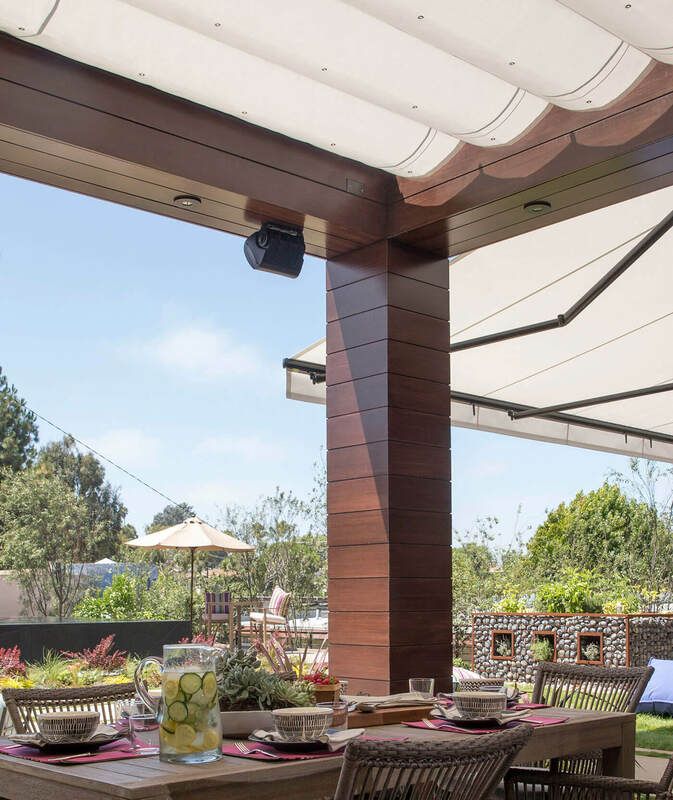 This jacquard pattern is suited for both traditional shade applications as well as cabanas and other shade structures. 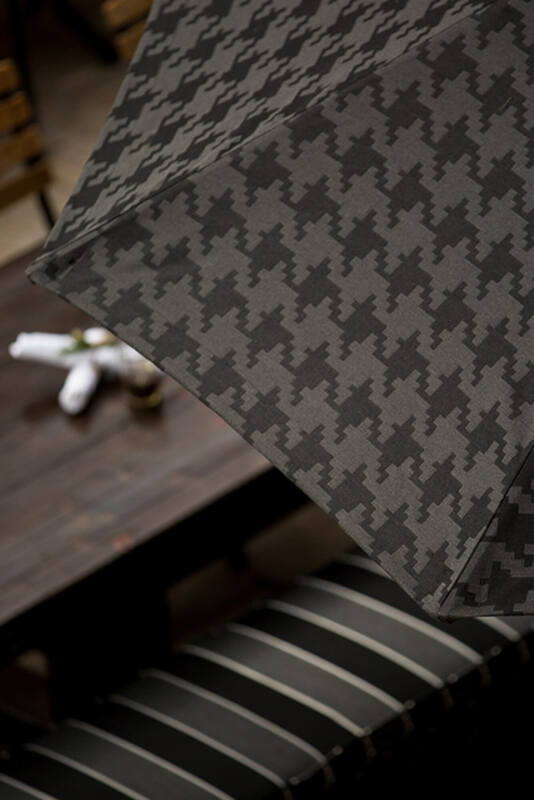 Designed specifically for upscale environments, Fundamental brings new life to the classic style, by introducing the traditional houndstooth pattern into modern shade applications. 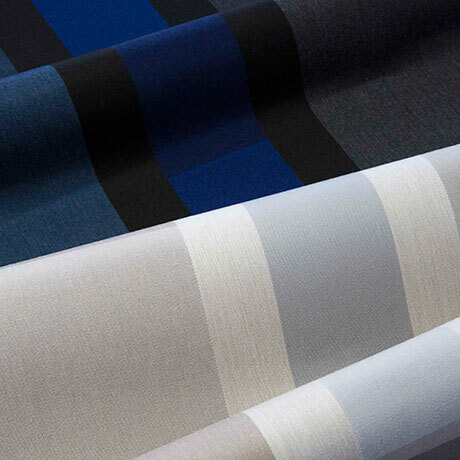 Beaufort reimagines the classic awning stripe using modern hues of blue, red and grey.